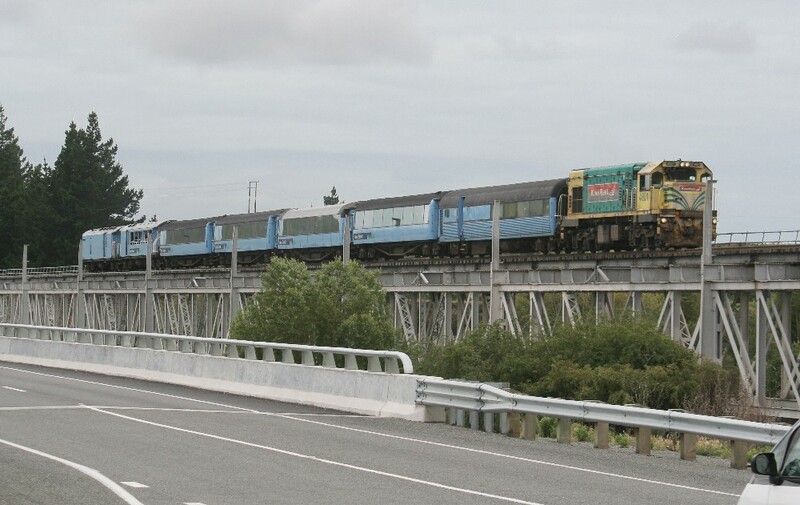 The road/rail bridge at Seddon. 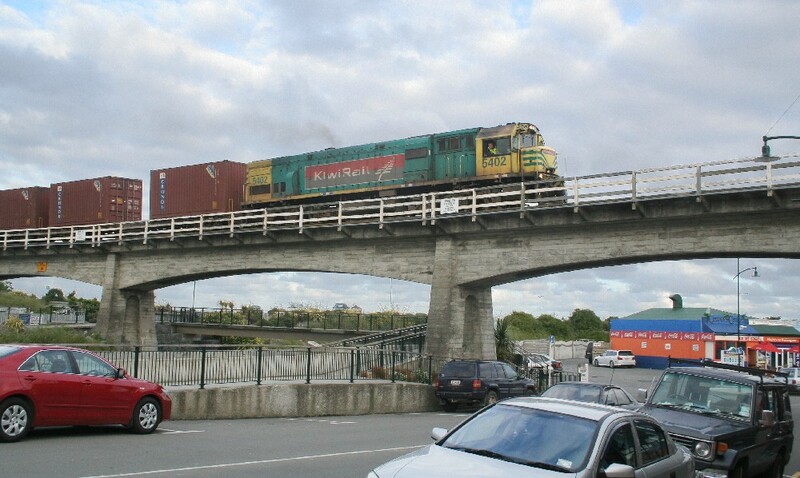 Up till about 2008, the road was on the lower deck. 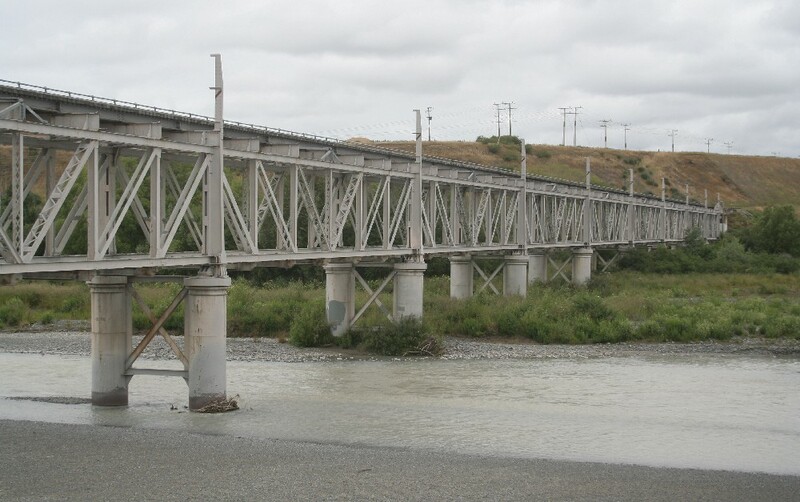 It is now on a separate bridge. 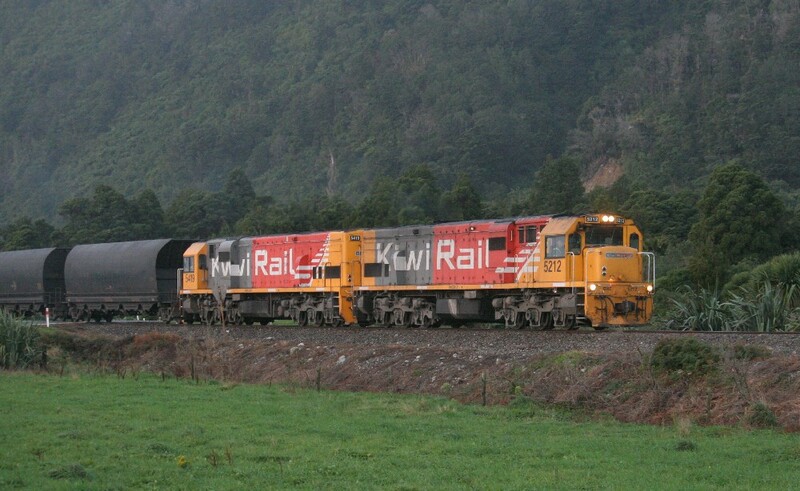 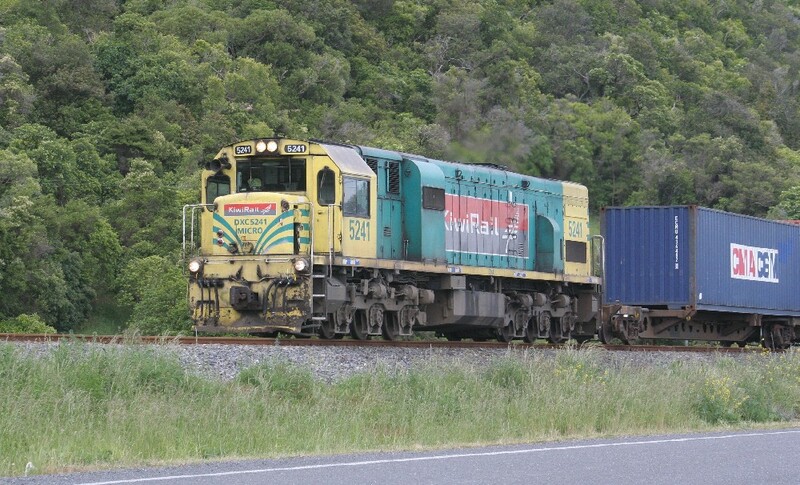 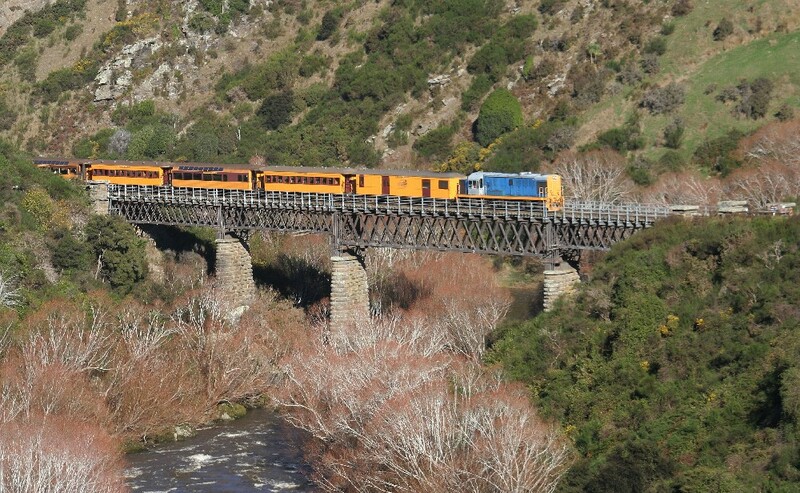 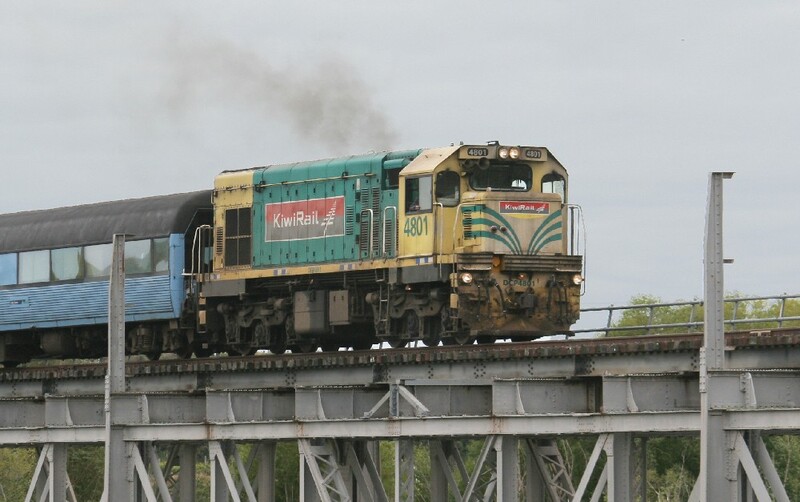 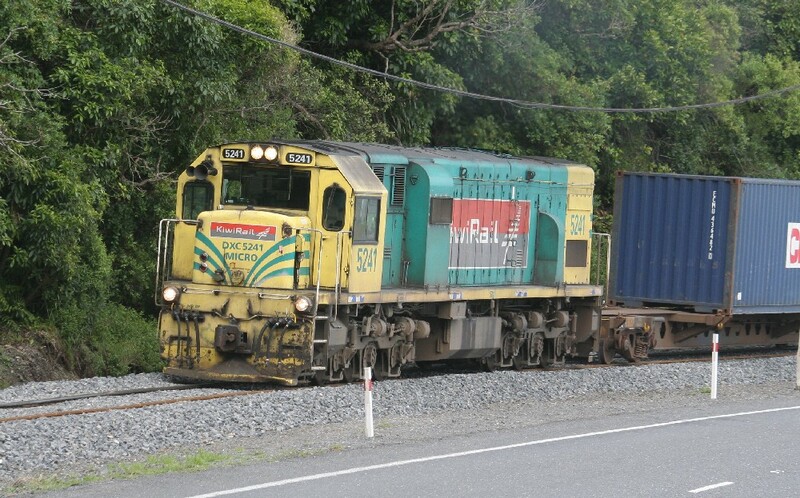 The Tranz Scenic behind DCP4801 crossing the road/rail bridge. 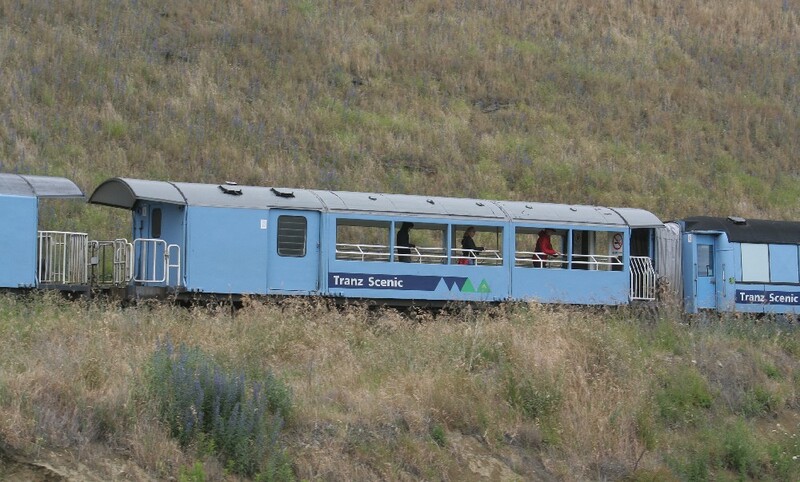 Open air carriage on the Tranz. 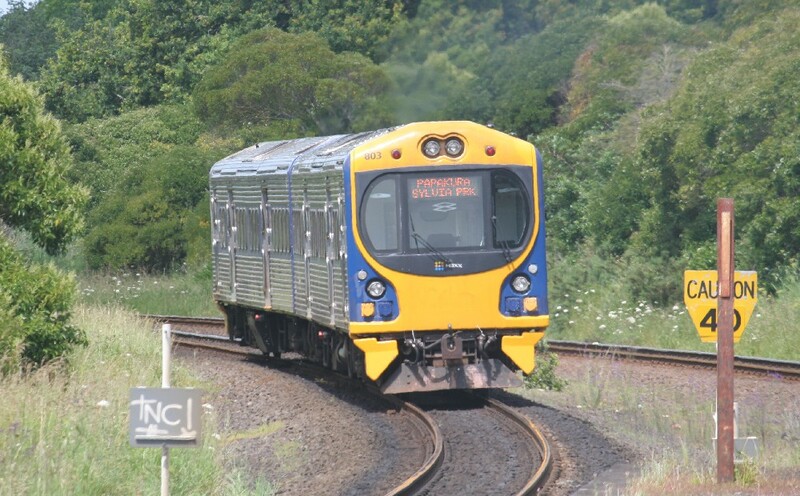 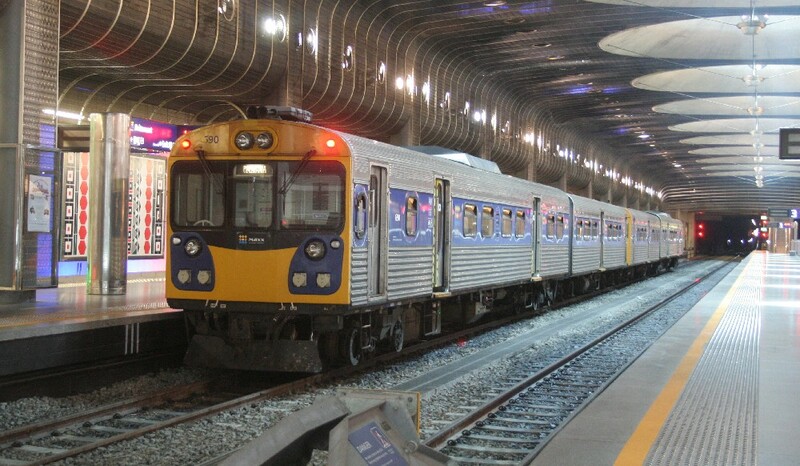 Would be nice if the Indian Pacific had one of these! 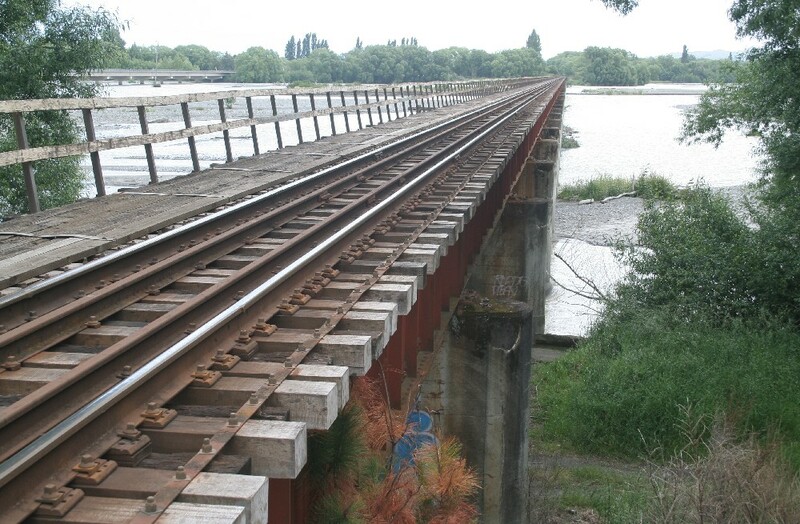 Large river flood plains mean long rail bridges! 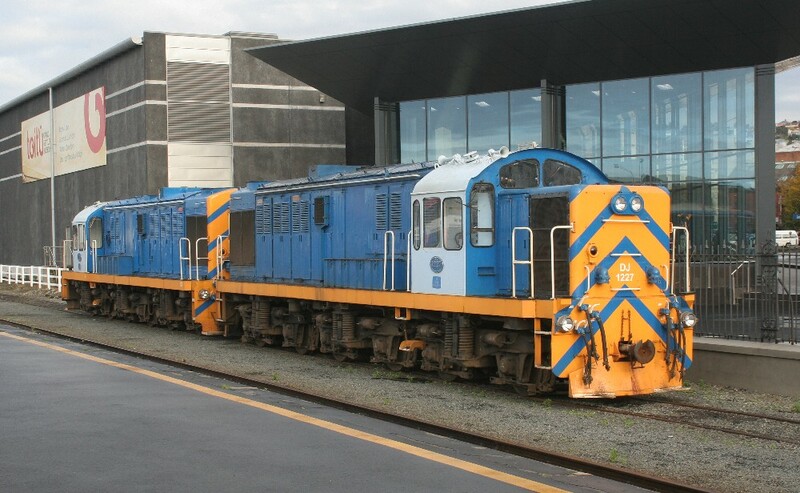 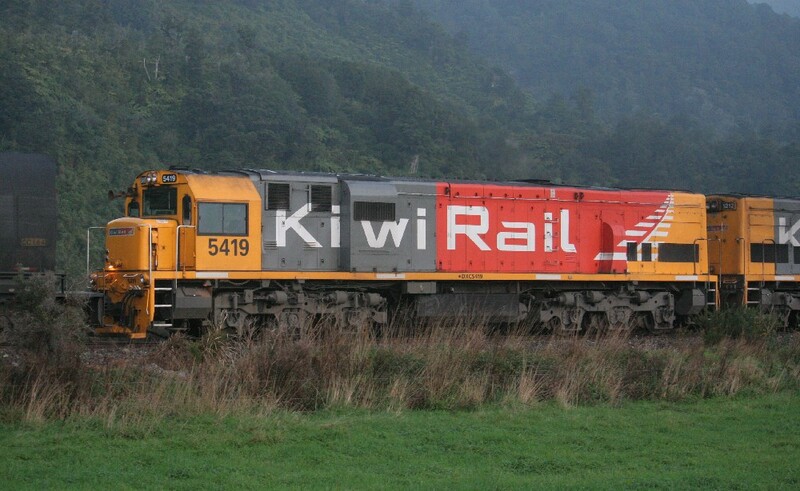 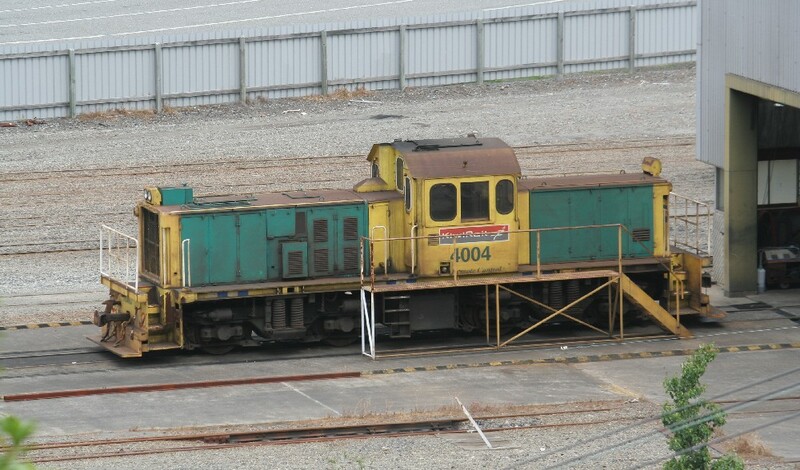 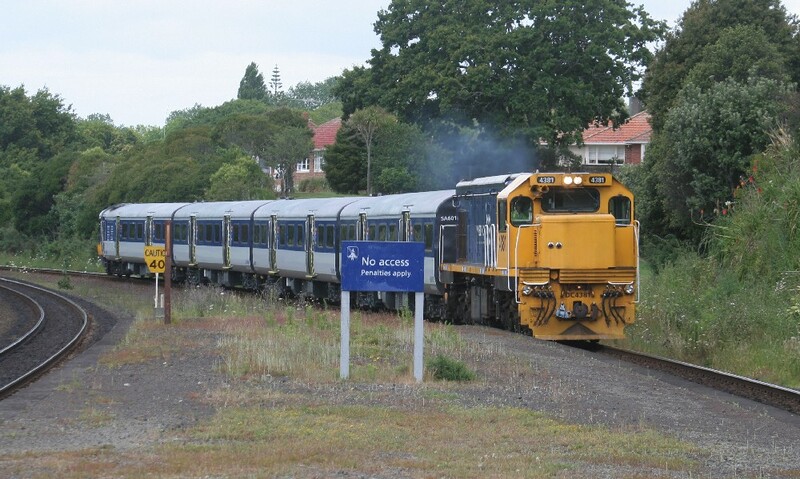 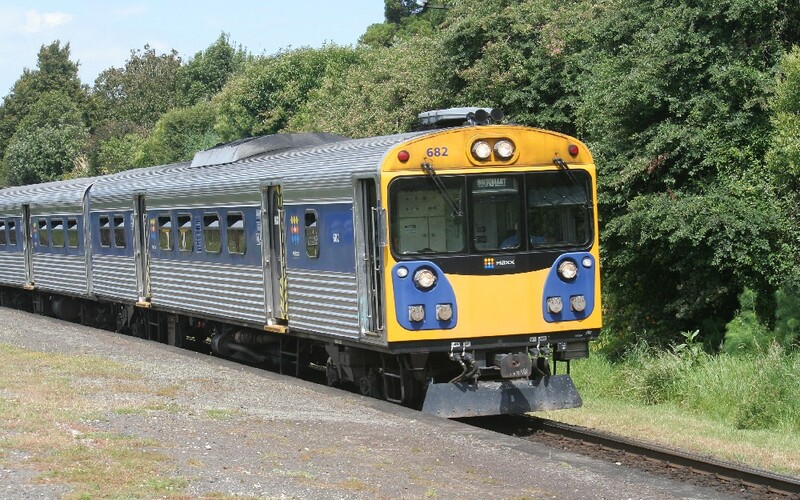 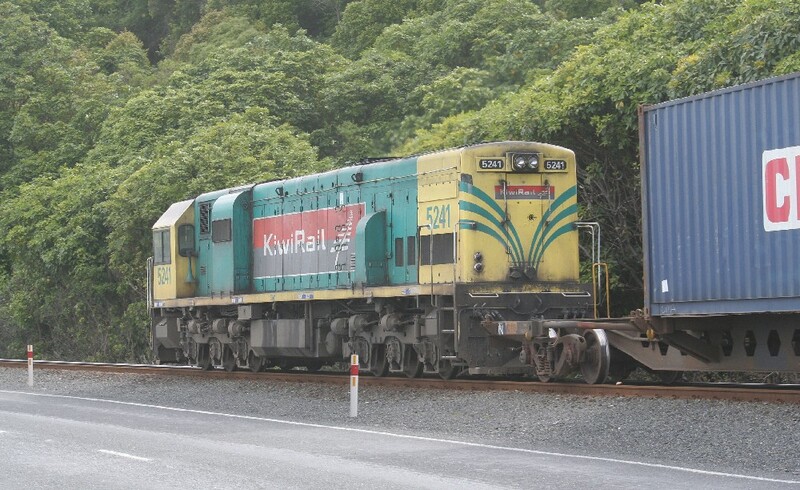 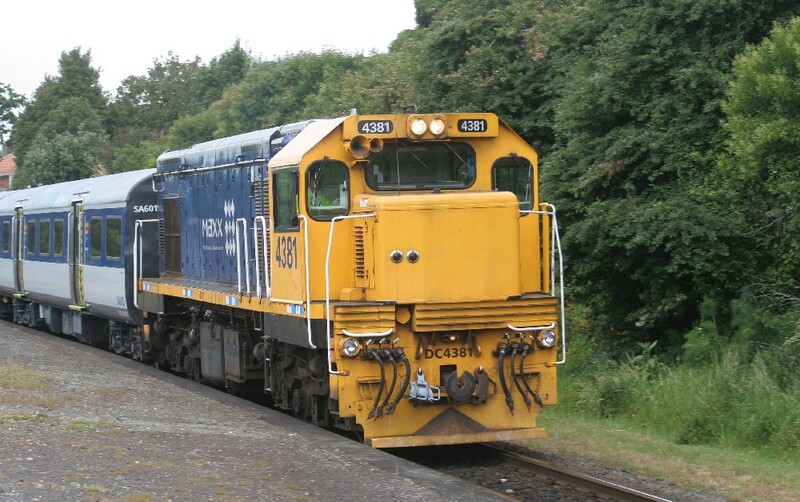 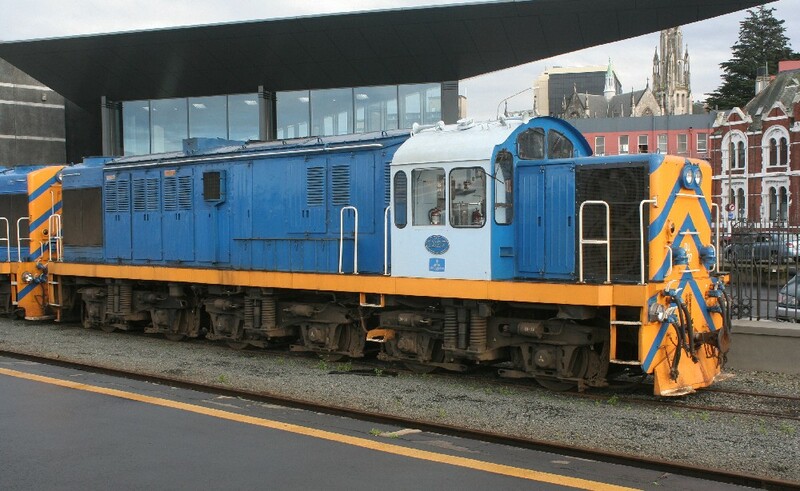 DSJ4017 sitting in the yard at Picton. 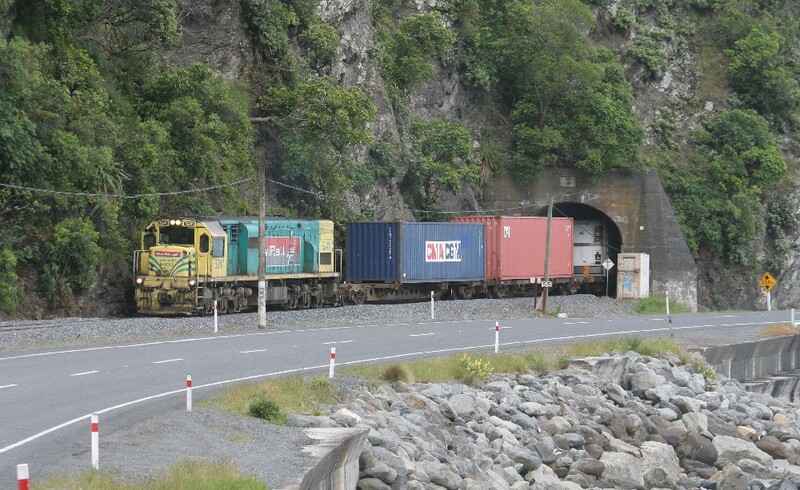 This is where trains are marshelled for loading on the ferry to the north island. 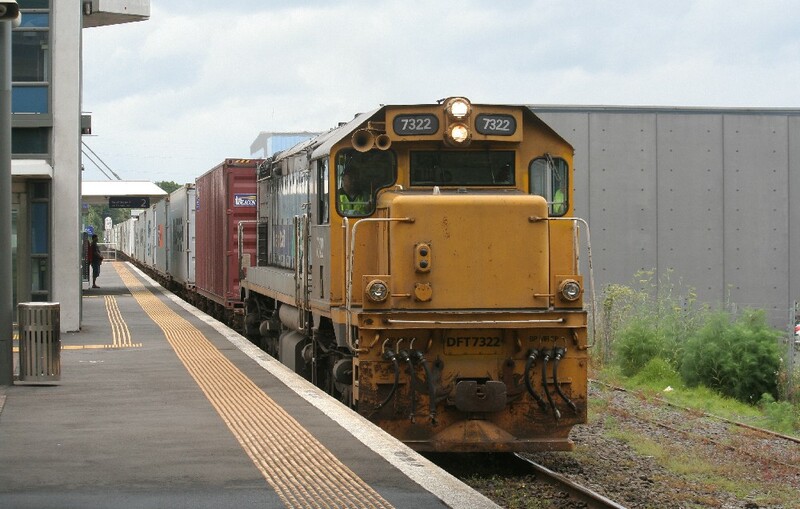 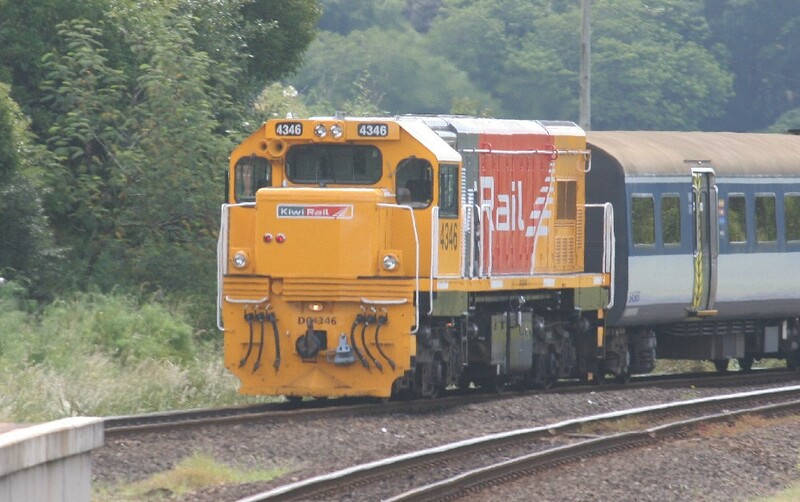 SD5883 leading a loco hauled suburban train at Meadowbank Station. 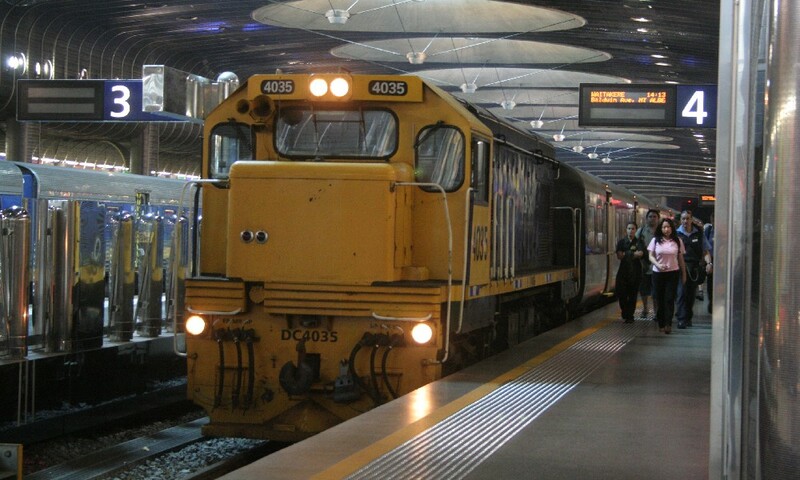 This car has a cab, controlling the loco at the other end. 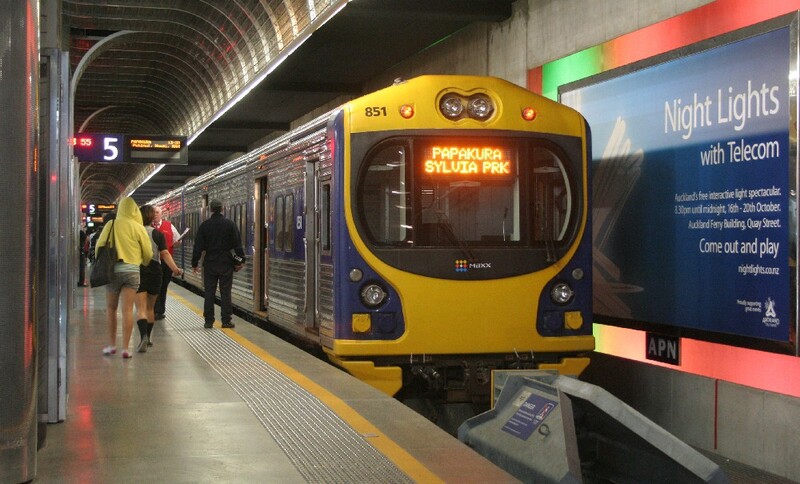 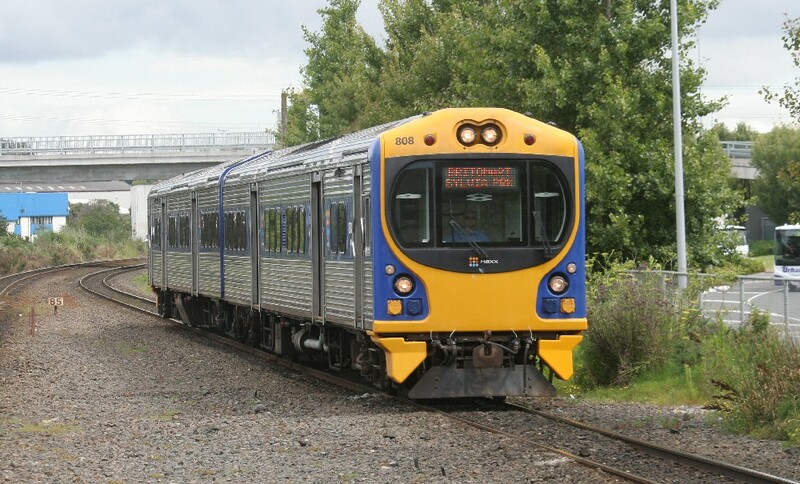 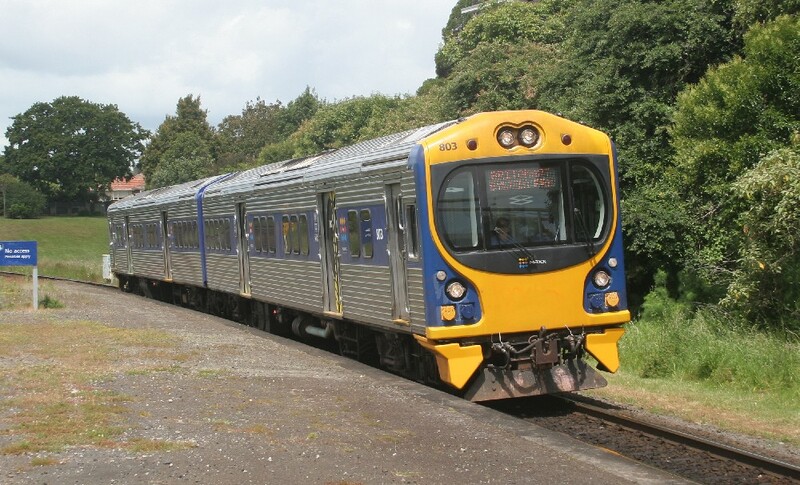 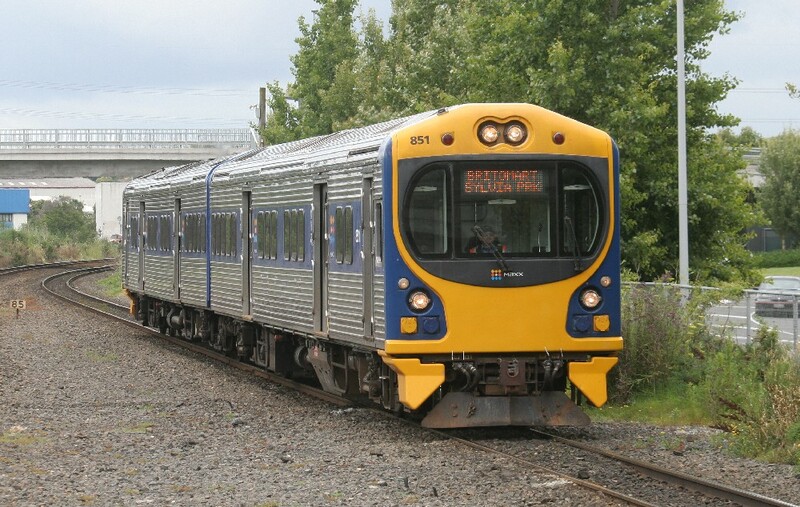 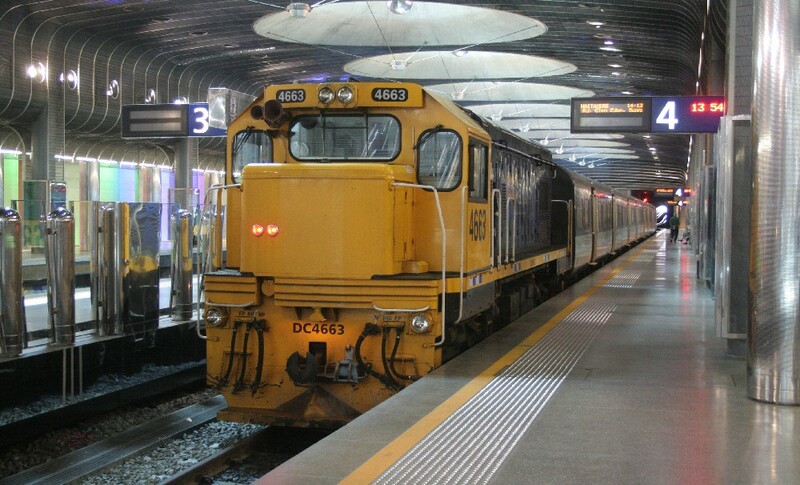 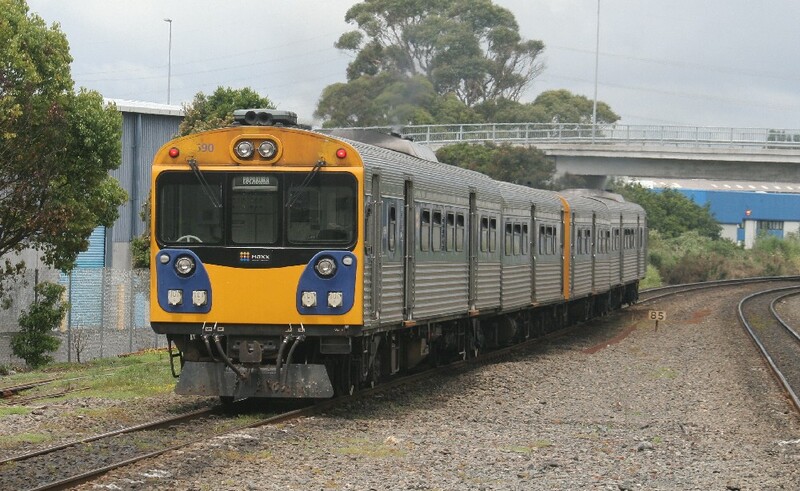 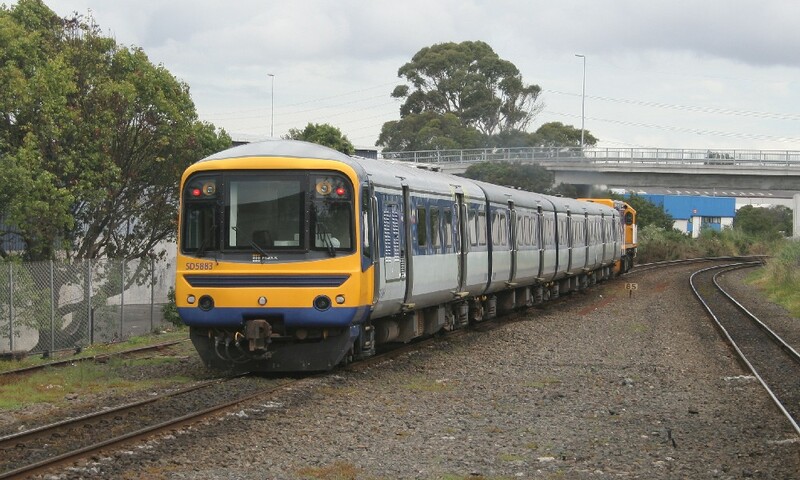 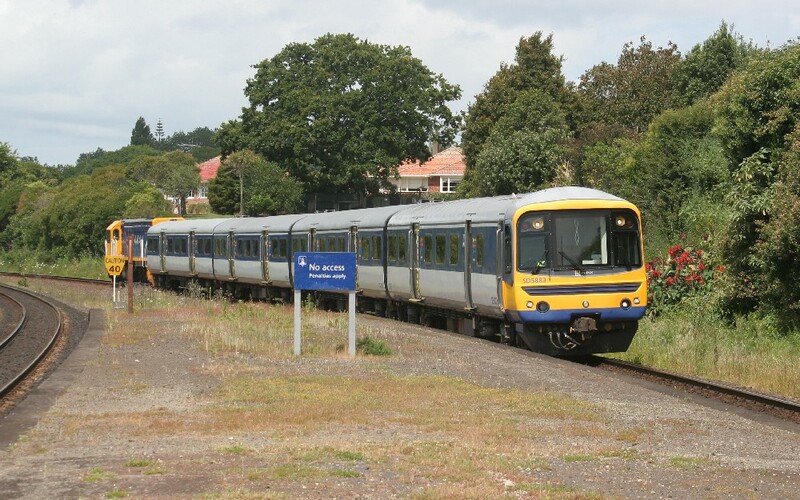 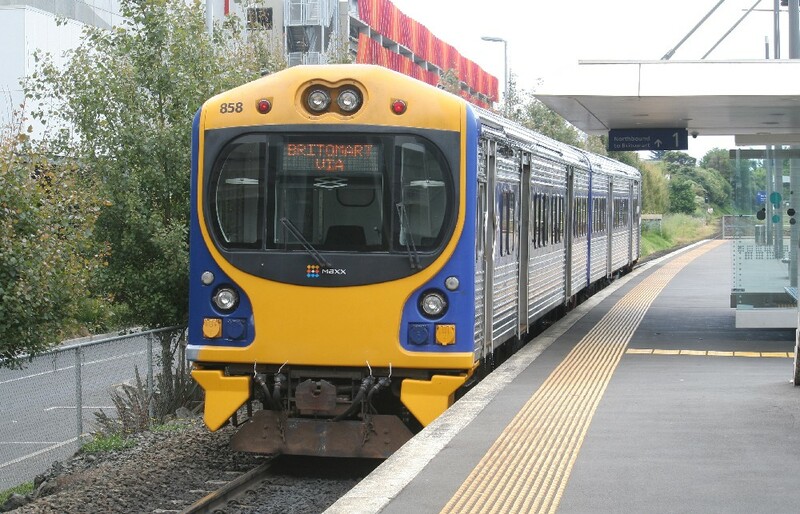 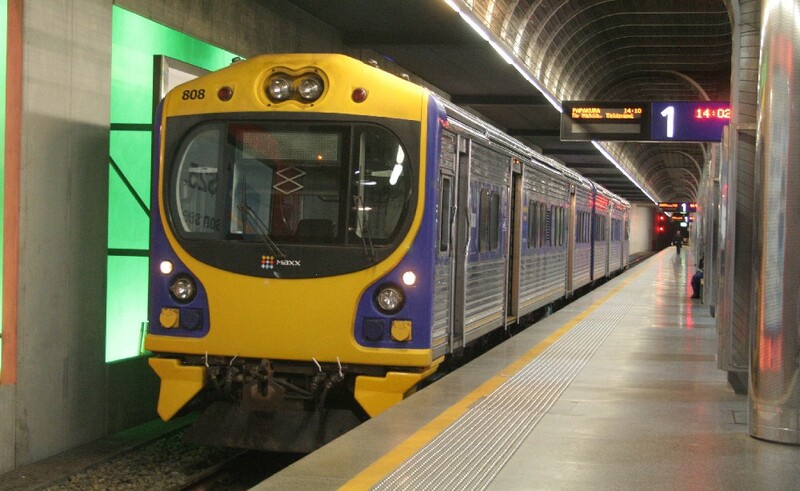 SD5883 departing Sylvia Park Station. 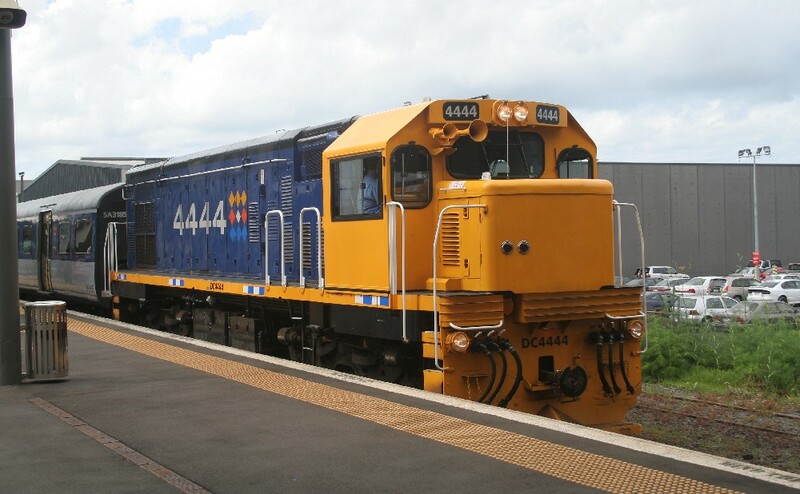 DC4444 is on the front. 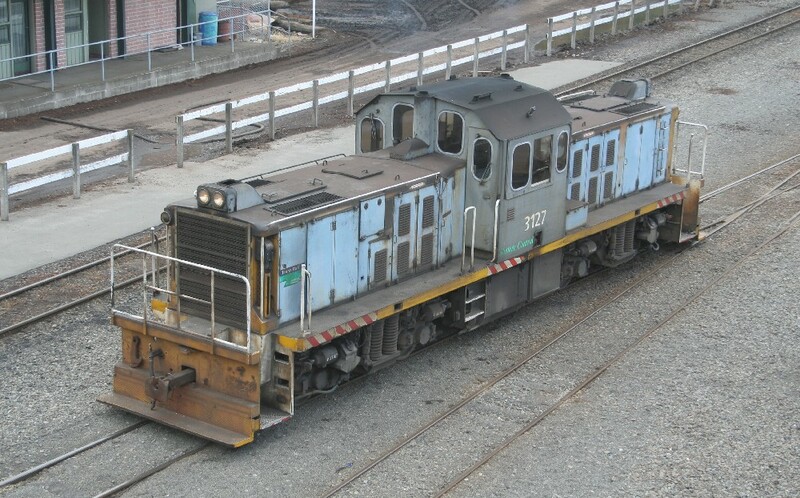 Close up of DJ1227. 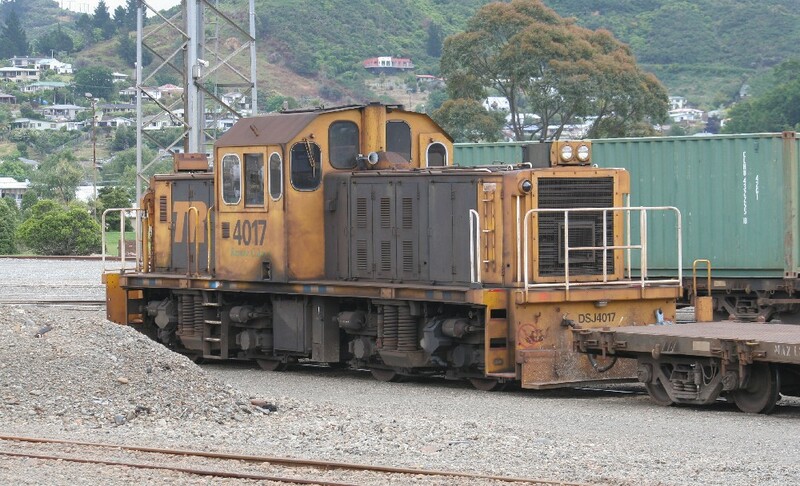 These are Bo-Bo-Bo locos and their cabs are surprisingly roomy for locos this old. 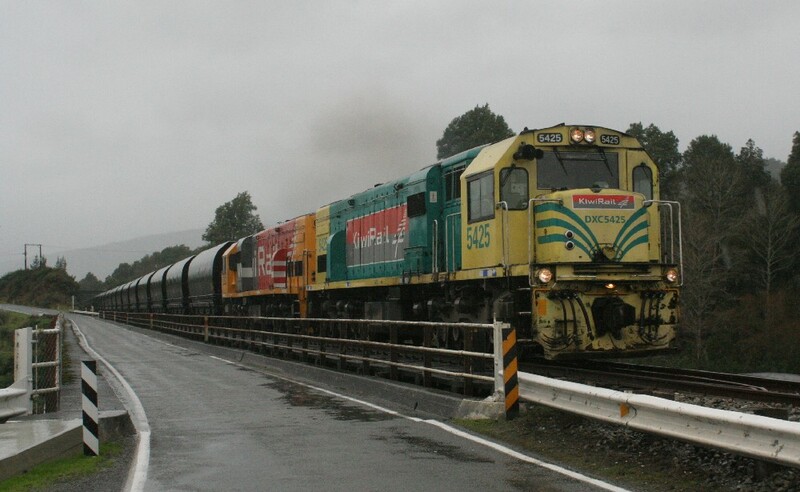 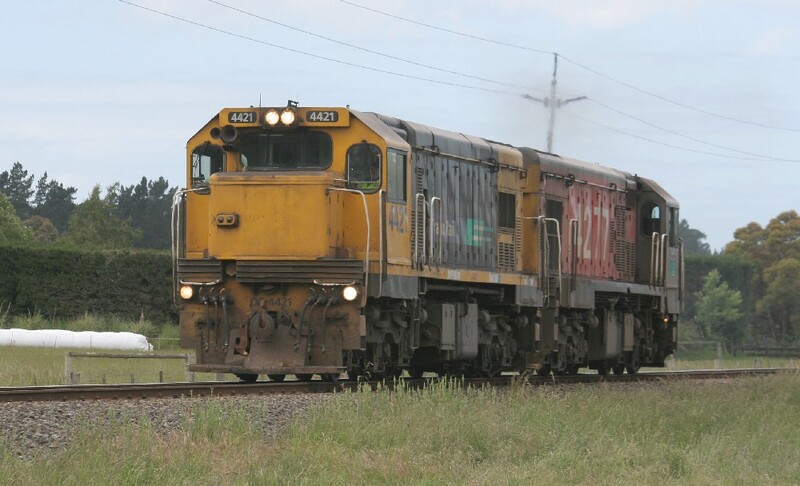 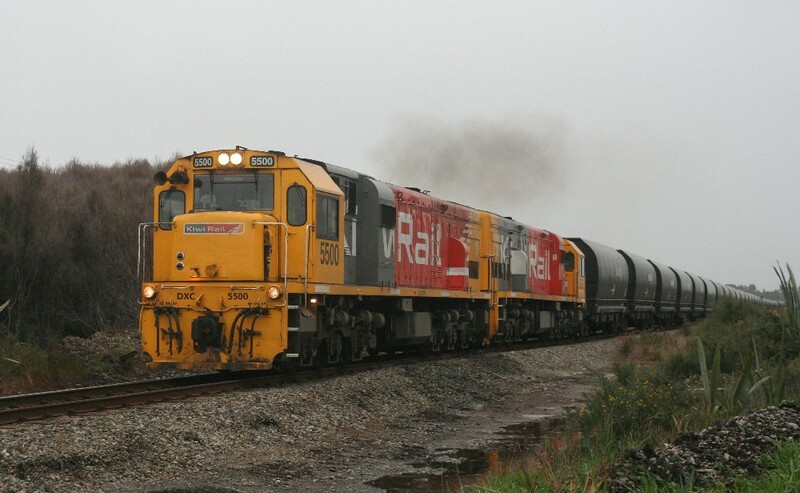 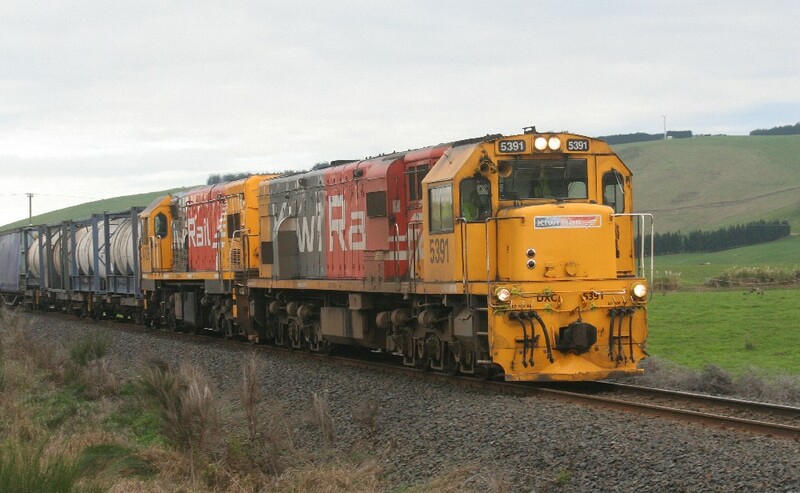 DXC5212/DXC5419 on a loaded coal train near Granity. 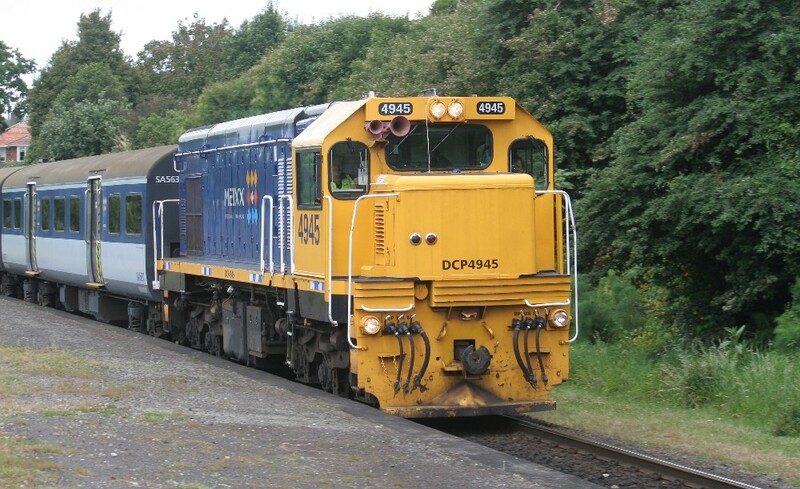 DXC5500/DXC5327 on an empty coal train near Westport.